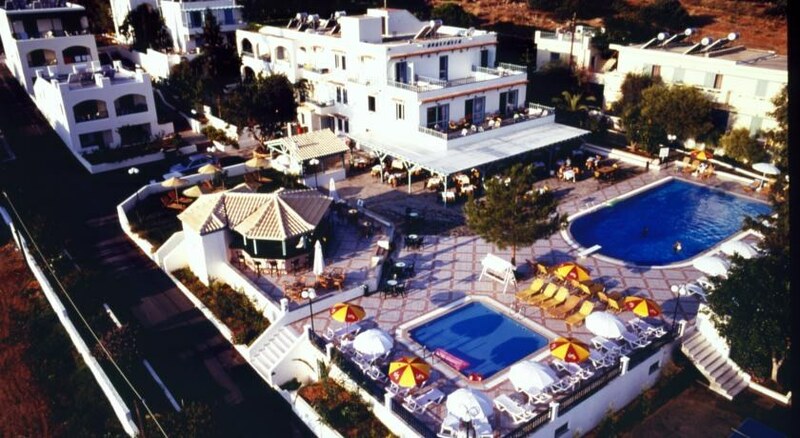 The Anastasia Hotel is located near the charming village of Stalida, 850m from the beach and just a short drive from the bustling resorts of Malia and Hersonissos on the island paradise of Crete. This terrific hotel that is preferred both by couples and families offers 79 comfortable guestrooms spread across 13 buildings and boasts a host of amenities. Guests to this family-run hotel can discover marvellous beaches and sleepy villages along with a wide array of shops, restaurants, traditional tavernas and ouzerias and attractions. Heraklion Airport (HER) is 32km from the hotel. 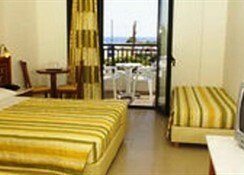 Located at the foot of a hill in beautiful Crete, Anastasia Hotel is excitingly close to a few beaches. There are plenty restaurants, bars and pubs in the hotel’s vicinity. The Heraklion Airport is only 32km from the hotel making it easy for guests to reach. Stalida sits on the Bay of Malia and is conveniently located midway between the busier resorts of Malia and Hersonissos with their numerous tavernas, restaurants and night clubs, most of which stay open until the early hours of the morning. The Anastasia Hotel features 91 air-conditioned rooms in 13 different buildings, all with a balcony or terrace and views over the sea, pool or garden. There are 14 family rooms with connecting rooms, 33 triple rooms, 11 double/twin rooms, three single rooms, 26 family rooms (one-bedroom) and four suites. All rooms have a private bathroom with bath and are equipped with a fridge, kettle available at extra charge, telephone, radio, hair dryer, Satellite TV as well as a safe deposit box at extra charge. Some facilities may incur a local charge. The buffet restaurant serves breakfast and lunch. There’s a snack bar that serves a la carte lunch. Lunch baskets are available and there is a pool bar and cocktail bar. At the buffet restaurant, breakfast is served between 7:30am – 10am and lunch between 2pm – 3pm. At the a la carte snack bar lunch menu is served between 12 noon – 4pm and dinner between 6:30pm – 9pm. Two outdoor swimming pools with furnished pool area, 2 childrens pool and playground, childrens club with animation, beach/pool towel rental service available payable locally, mini golf, basketball hoop, Billiards, table soccer, table tennis, video games. Water sports such as catamaran, pedaloes, canoes and windsurfing are available at the beach (local charge). Evening entertainment includes music, Greek nights, BINGO, karaoke, quiz's, games and shows. Facilities offered by the hotel include: 24-hour reception, currency exchange, newspapers, car rental, taxi service, excursions, TV in lobby and pool bar, mini market, laundry service, Internet corner at extra charge payable locally, Wi-Fi Internet available around the pool and hotel lobby free of charge, free private parking. Very friendly staff and ideal location for walking into town. Rooms were clean and nightly entertainment good.